Why do we admire French women so much? is it their elegance? seemingly effortless beauty or is it all a myth? the effortless beauty part I believe to be a myth, the French are passionate about skincare far more than make up. 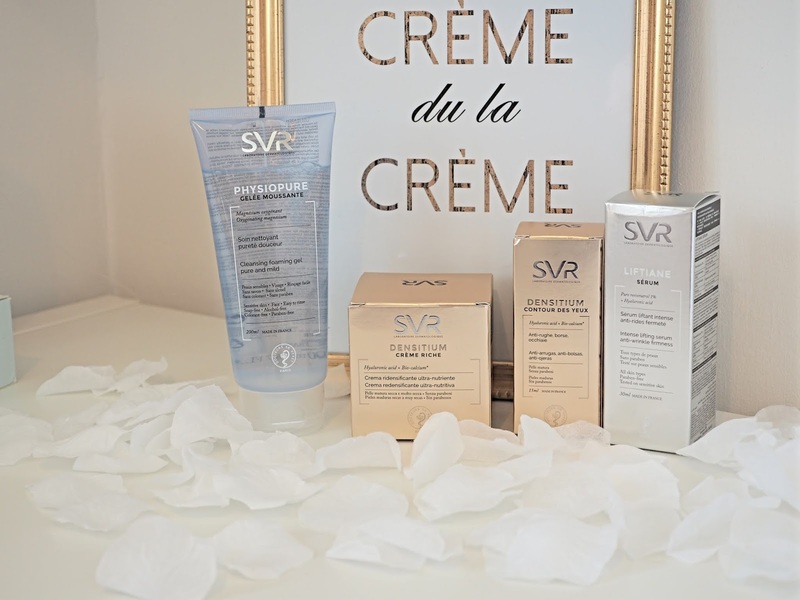 Finally we have French Pharmacy skincare easily available in the UK in the name of SVR Laboratorie Dermatologique like me you have probably not heard of this unless you are a regular in France and have seen the brand in the Chemist's. Once a small family firm back in 1962 SVR where one of the first brands to bring medicine to skincare. Since then the brand has become synonymous with skincare that addresses every need. The range is vast, so whatever your concern SVR have a solution. 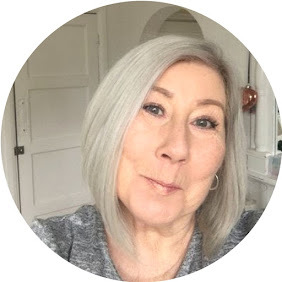 In this post I am bringing you 4 products that I have been testing out over the past couple of months, originally I was unsure if these products would reach the blog as I had not heard of them before and wanted to give them a thorough trial, I am delighted to say they are nothing less than outstanding and a discovery that will now stay with me, with prices starting at £5.00 it is a joy to find something this good that doesn't cost hundreds! This gel foam cleanser contains Oxygenating Magnesium, and is suitable for all skin types, anyone who has ever experienced an Oxygen facial will know the benefits of pure Oxygen and the Trace element Magnesium is the key to this cleanser being a long term benefit to the skin rather than just a cleanser. You literally need the tiniest amount which will make this whopping 200ml last you forever, apply to a damp face and watch the gel turn into the richest creamiest foam. Just those three words are enough to make the most sensitive skins itch! worry not, this cleanser is suitable for even the most sensitive irritated skins, it is 100% soap free so leaves the skin feeling clean, soft and balanced with no signs of redness or itching. Alcohol Free, Colourant Free, Paraben Free. The Densitium range is especially suited to mature skin. This eye cream addresses 3 main issues, dark circles, puffiness and wrinkles. It contains Hyaluronic Acid and Bio Calcium ( see below) Smoothed around the orbital bone and unusually gently patted onto lids this lightweight formula absorbs easily and leaves the eye area looking and feeling hydrated, did this make lines look any better? I hear you ask. 100% yes! instantly noticeable in hydration which obviously smoothed the lines somewhat but over time I can truthfully say I have seen a visible difference to the depth of the main lines around my eyes, as you all know from previous posts I am not a fan of eye creams and don't reach for them on a daily basis, this one has been on my eyes twice a day! be careful though, one pump will do both eyes, so be careful not to waste it. Just a note, I had never heard of calcium being applied topically so I did a little research and this is the answer in case you are interested. Antioxidants prevent damage to the skin's components such as collagen. ... Topical calcium products therefore provide anti-ageing benefits and enhance skin cancer protection. Calcium is an extremely powerful tool for skin rejuvenation and, in the not too distant future, it will receive media attention and marketing focus. If you have dry mature or very dry skin this rich cream will be a lifesaver! it's not kidding when it says rich, the formula is thick and dense which when applied instantly leaves you thinking it will be greasy and leave a thick film, it is in fact the opposite the cream absorbs leaving you with soft supple feeling skin that is immediately hydrated. Again containing Hyaluronic Acids and Bio Calcium this paraben free lifesaver will see you reaching for it on a daily basis to keep the skin supple, firm and fresh. Now the company do not say on the packaging when you should use this cream, I have been using it as both a day moisturiser and a night cream, as a daytime cream give it a couple of minutes to fully absorb and you are good to go on with your normal make up routine, I did, both day and night double this cream with LIFTIANE Serum. the effects are ridiculous, I can see a huge improvement in both texture and firmness. I have saved the best till last! If you buy nothing else this year, buy yourself this serum!!! Oh my lord, the second it hits your skin you will see an immediate lifting and firming effect, and over time the benefits have only increased. The serum contains pure reversatrol at 1% we already know the benefits of this ingredient that comes from the skin of red grapes, alongside Hyaluronic Acid this powerful combination works to lift the skin and give it a fresh glow like nothing else I have tried. although this is obviously not a hand cream I wanted to show you the instant effect of applying it to the back of one hand against the other. 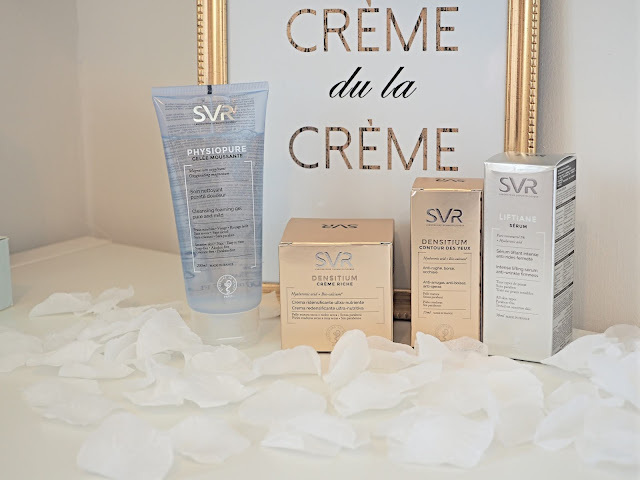 To Sum up, I am over the moon to have discovered this brand, and can honestly say I will be looking far deeper into SVR to discover and bring you other products.